Mount Kenya hotels and lodges range from luxury to budget and offer quality accommodation in tranquil and relaxing surroundings. It is located within the privately owned Sweetwater’s Game Reserve in Mount Kenya National Park. The hotel has long been a paradise for wilderness and safari lovers and offers spectacular views across the wildlife packed plains to the snow-capped peaks of Mount Kenya. It is situated in thick woodland at the heart of Aberdare National Park and can be reached via the Aberdare country club. The Ark is 170 kilometers from Nairobi (the capital of Kenya) and has numerous balconies and lounges providing excellent vantage points for game viewing. It is situated within a 20-minute drive of Nanyuki Airport and offers spacious air conditioned rooms all with wireless internet access. The luxury resort also offers a swimming pool, an outdoor heated pool and a sauna. Most of its rooms have magnificent views of Mt. Kenya and closely located to its superb dining facilities and recreational amenities. It lies on the flanks of Kenya’s highest mountain surrounded by a dense ancient rain forest that comes alive at dusk with myriad of sounds that make the African bush special and exhilarating. The lodge offers unmatched game viewing opportunity with it’s water hole and salt lick, which attracts many wild animals including elephants. It is a gracious, solid and comfortable hotel set in a lush tropical garden with rolling lawns in the town of Nyeri in the Aberdares. It offers 42 spacious rooms and 3 cottages, airy and most of them having garden access. 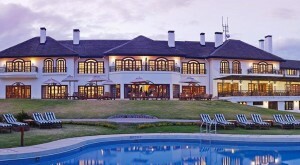 It is also the nearest hotel to the breathtaking Karura Falls in the Aberdares National Park. It is the historic hotel where young Prince Elizabeth became queen in 1952 when her father, King George VI, died in his sleep. The hotel has 50 rooms: 43 standard twin rooms, 5 standard triple rooms and 2 suites. It has four decks and a rooftop viewing platform and overlooks a waterhole and salt lick that provide guests with rewarding wildlife viewing opportunities. It is a beautiful private house set within the pristine calm of the Sweetwaters Sanctuary. 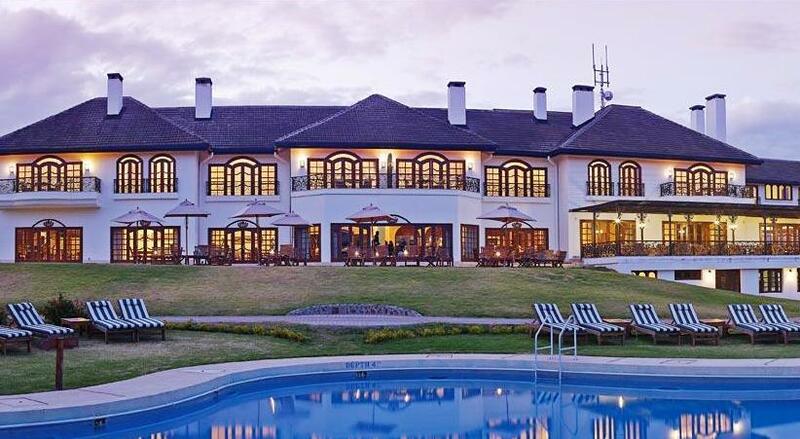 One of Mount Kenya region’s best kept secret, this Serena property offers spectacular views across the game-studded plains to the snow-capped peaks of Mount Kenya. It is a hidden gem in the untamed wilderness of Meru National Park. Elsa Kopje offers 9 stone and thatch guest cottages, crafted around the natural features of the hill. 8 are en-suite open-plan cottages and one is a private house. They are situated on the edge of Lake Rutundu and overlook the northeastern face of Mount Kenya. The rustic chic cabins are the perfect escape from the ‘safari circuit’. At 3,100 meters, both the vegetation and the wildlife are unique. Prince William and his then-girlfriend Kate Middleton (now the Duchess of Cambridge) stayed in Rutundu Log Cabins during their Kenyan holiday in October 2010. Prince William went on to propose to Kate Middleton at the Lewa Safari Camp in Lewa Wildlife Conservancy. Use the search below to search more than 30 Mount Kenya hotels for the best price and availability. You’ll be able to refine your search, read reviews and easily book online.